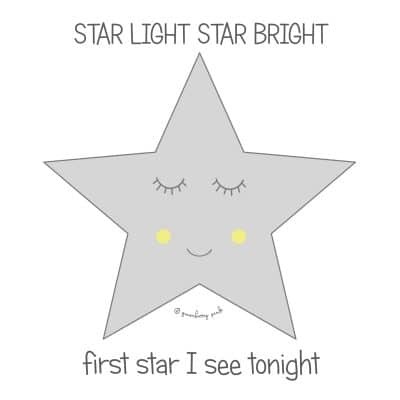 Made using the softest, purest organic cotton, the Star baby sleepsuit from Gooseberry Pink’s new Night + Day collection is super cute and will keep your little one comfy and cosy. Popper fastening for easy dressing and nappy changing. 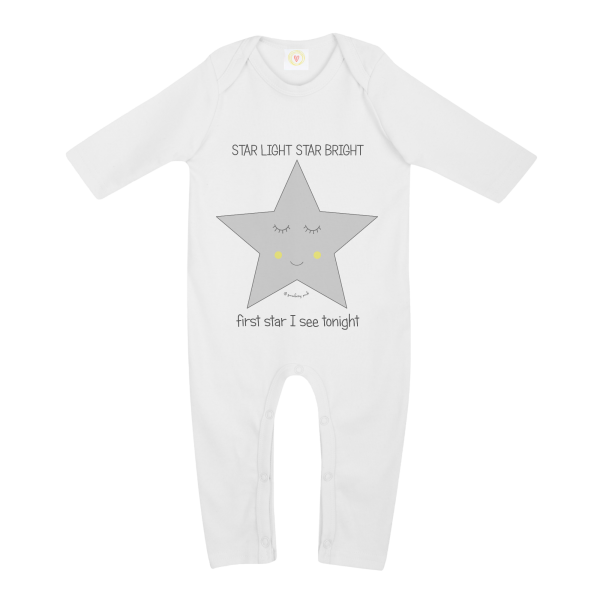 No fastenings on either the front or rear of the sleepsuit ensuring ultimate comfort for baby. 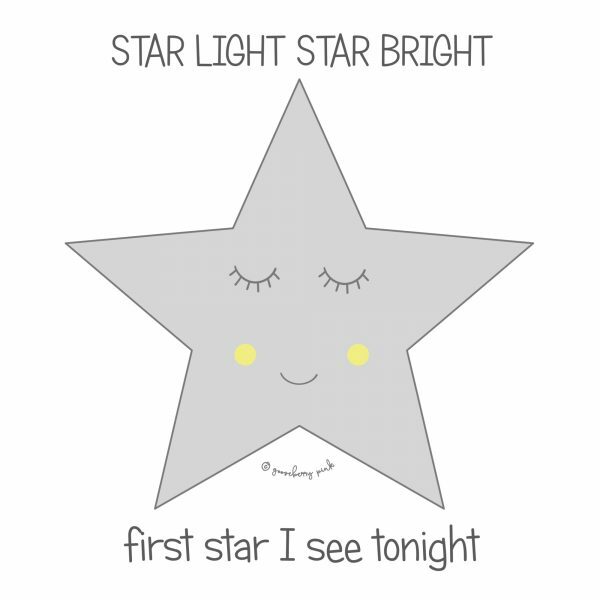 What makes Gooseberry Pink baby clothing special? 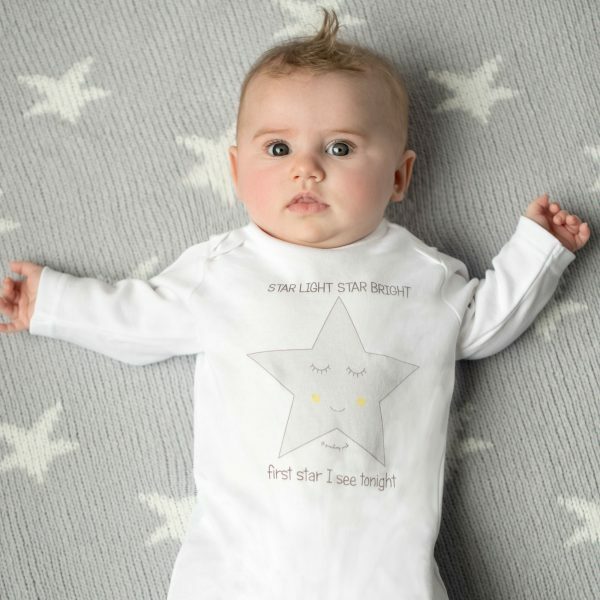 Soft and cosy combed cotton – perfect for baby’s sensitive skin. 100% GOTS certified organic cotton, with a 90% reduced carbon footprint. Water based inks which are 100% bio-degradable, non-hazardous and non-toxic. Do good, feel good with Gooseberry Pink! "Knowing how nice they are to wear and that they are 100% organic cotton makes them worth the money"